Seed industry members should mark their calendars for the American Seed Trade Association’s (ASTA) Vegetable and Flower Seed Conference. This event will take place Feb. 1–5, 2019, at the Hyatt Regency Grand Cypress in Orlando, Florida. Andy LaVigne, president and CEO of ASTA, says the Vegetable and Flower Seed Conference has rapidly grown over the years. “It’s becoming quite the international show,” he says. Roughly 25 to 30 percent of the attendees are from countries outside of the United States. 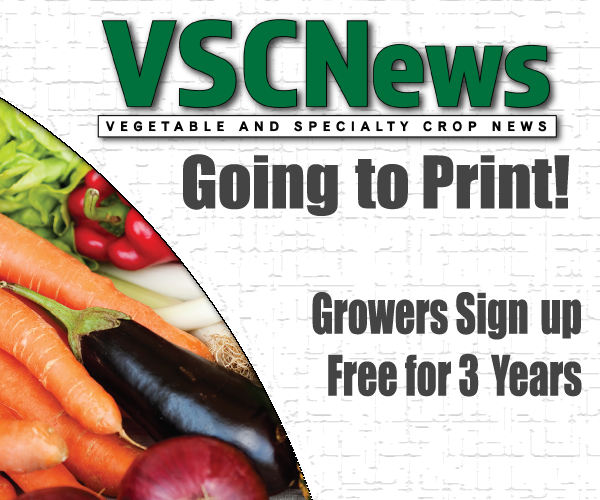 According to LaVigne, the expansion of the conference has been able to keep up with an ever-changing produce industry. Breeding new varieties of produce is a hot topic at the conference each year. Another topic that LaVigne believes will be big at the conference is protected agriculture. The number of urban growers continues to increase, and many of them gravitate toward protected agriculture production systems. Ensuring that the appropriate varieties for these systems are available will be discussed at the conference. LaVigne encourages seed industry members, and any interested growers, to attend the event. “It really brings together the research community, seed community and the flower, vegetable and produce communities to talk about what are the key issues we’re seeing today and how we help farmers through them,” he explains. Registration for ASTA’s Vegetable and Flower Seed Conference is now open. To register, or for more information, click here.